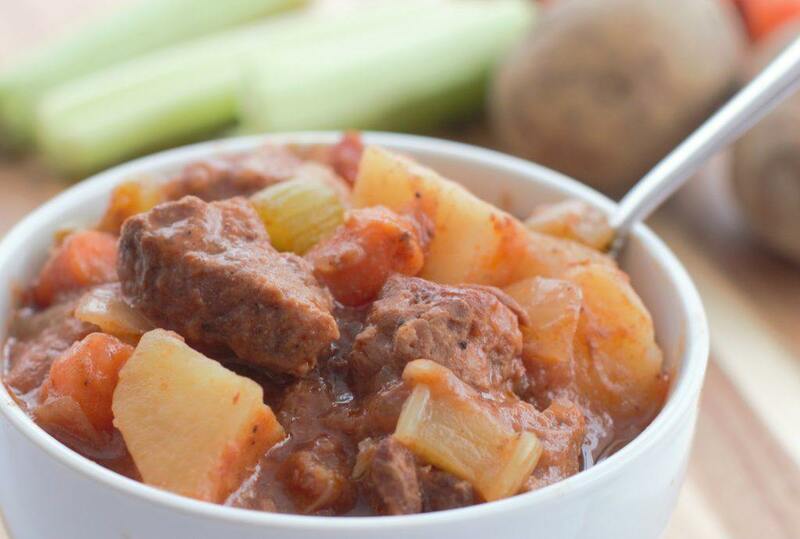 With freezing temperatures outside, a bowl of Beef Tomato Stew hits the spot. I believe our body craves comfort food when the temperature drops to help us feel warm inside. I love stew, and there are a few recipes that I have that are my favorite. 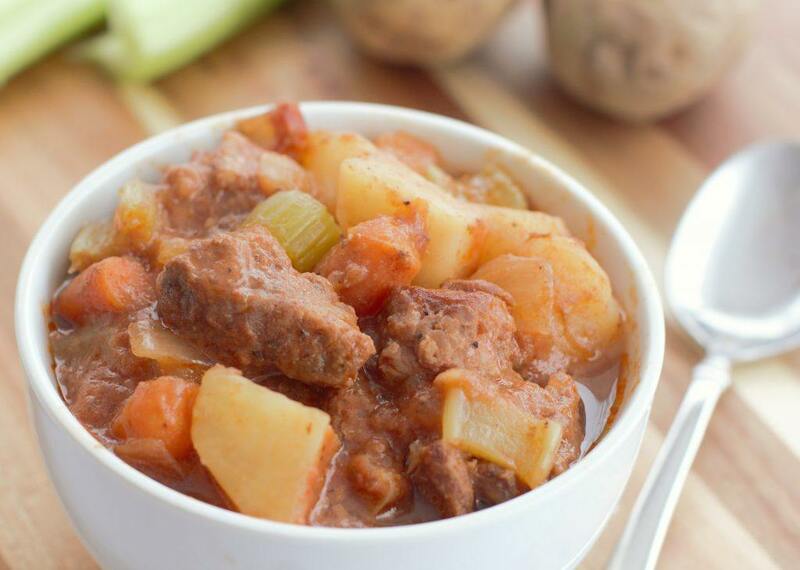 My dad’s stew is one of them, You can find it here: http://sugar-n-spicegals.com/2013/04/slow-cooker-beef-stew.html Another stew recipe I love is my Beef Tomato Stew. This recipe is great made in either the crock pot or in the oven. I like to use my slow cooker because of my busy schedule. 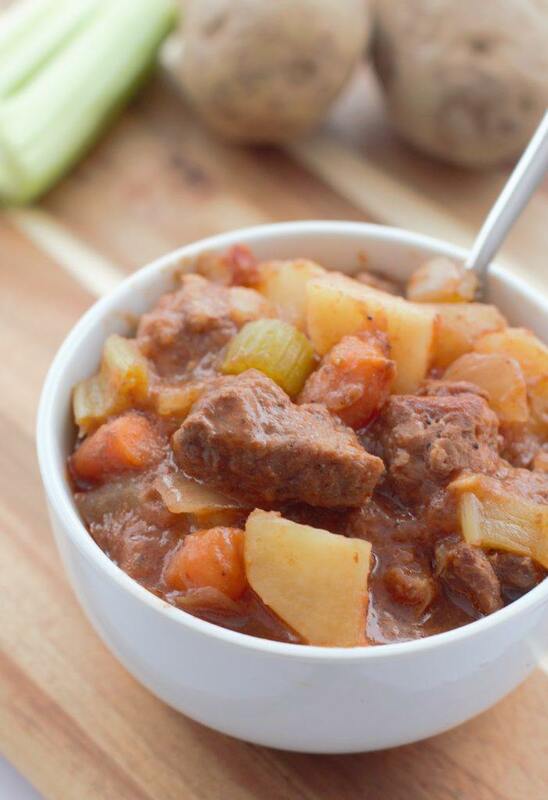 This stew is so easy to throw together and involves no precooking the meat. You simply just need to toss it all together and put it in the crock pot, set the time, and then go. 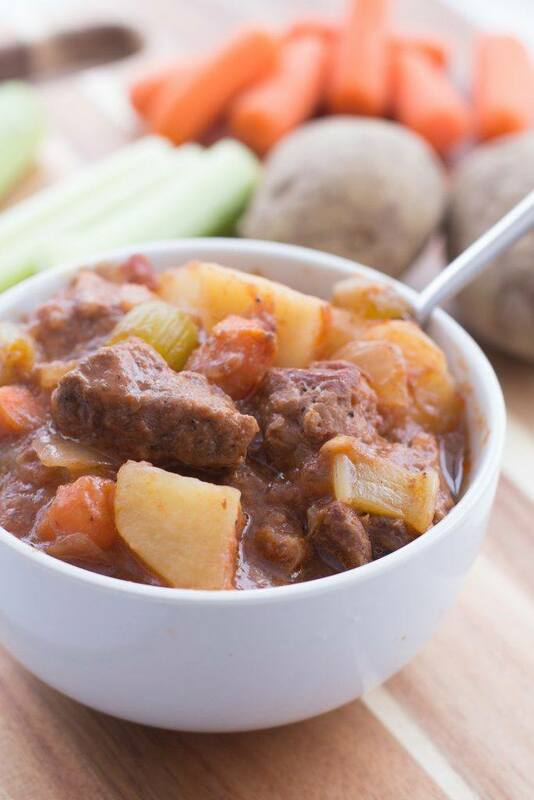 This Beef Tomato Stew is sure to hit the spot on a cold winter day. It's easy and delicious. 4 celery stalks, cut into bite size. Mix the soup, water, tapioca, and salt together. Pour over the meat and vegetables and toss together until all is well coated. Add pepper. For Slow Cooker: Pour into your crock pot and cover and cook on low for 6-7 hours. For oven: Pour into an oven safe pot and cover with lid. Preheat oven to 250 degrees, cook for 5-6 hours.